Eve of CNY: Family reunion dinner. 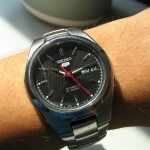 Day 1 of CNY: Visit Neoh’s house in the afternoon. Watch people play cards. Day 2 of CNY: Visit Choon Hoong’s house in the afternoon. Play a bit of cards. 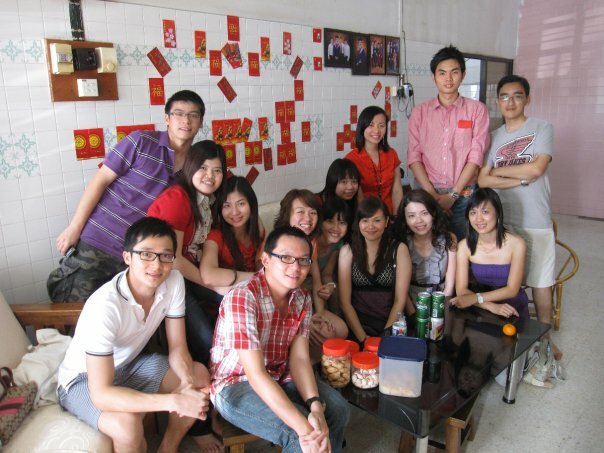 Day 4 of CNY: Noon went to Wei Chong’s house. Only few “kittens” there and stayed there only for a short while. Day 5 of CNY: Night visit Engchi’s house. 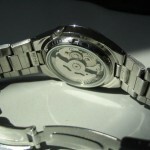 Rest of CNY: Spend time with family! This entry was posted in My Life, Photos and tagged chinese new year on March 13, 2010 by Khim Hoe. Two weeks ago I took the train to go back to my hometown coz that Friday is a public holiday (Labour Day). 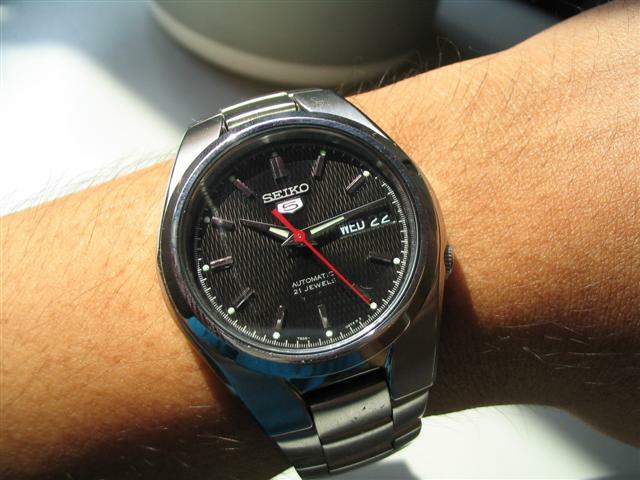 But damn, the train that I took was delayed for more than 1 hour! 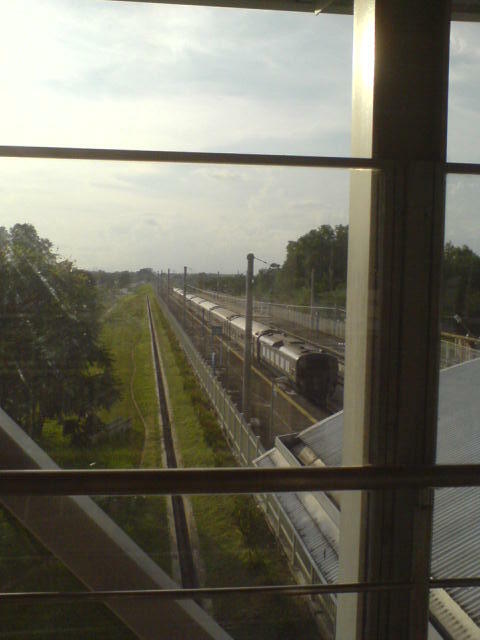 The train that I took was the Ekspress Rakyat at 2.20pm, but due to some unknown reason, they announced that the train will be delayed till 2.45pm. Ok la… half hour I still can tahan. So, after half hour, they finally annouced that the train had arrived! Yay!…? 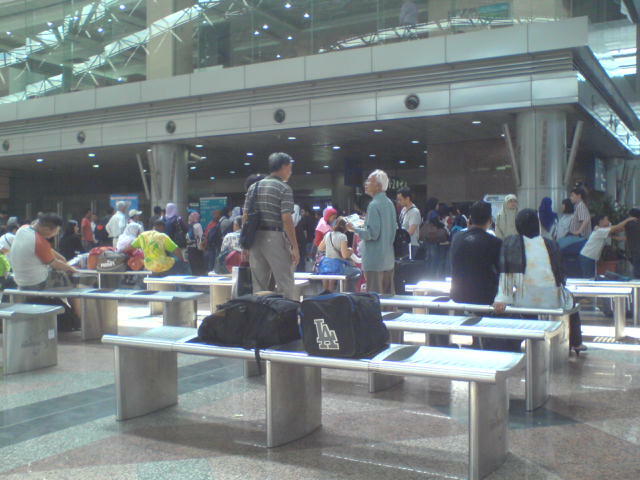 By that time, the waiting area already got many people waiting… you can see from the pic above. Tons of ppl rushing down to the platform after they announced that the train is here. Now, this is the worst part. 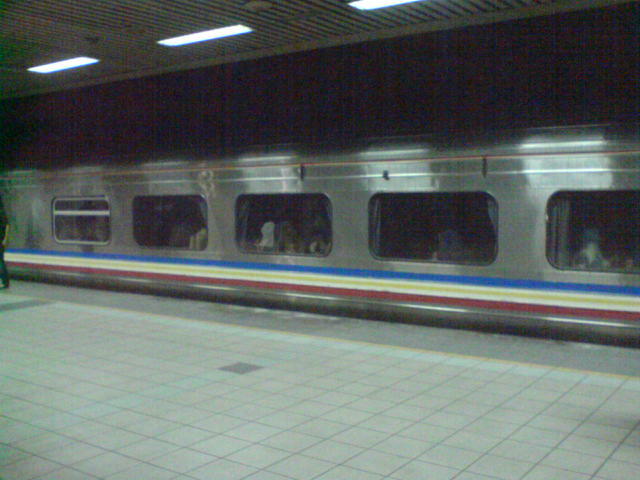 When I reached the platform, I saw that inside that train it is completely dark! 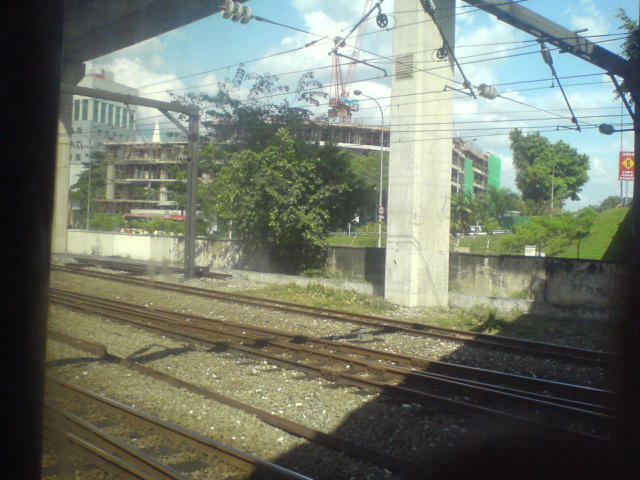 I had a very bad feeling that time coz last time I rode a train, the train dont have aircon! So, I go to my coach and see whether that one got light or not. But it also dark. When I went inside, it was like a sauna room! I don’t know how the hell the people inside the coach can sit there and wait. After that I just come out from the train and wait outside. Cant remember how long I waited, but after a while, the train got the light back and I went inside. They manage to get the aircond working! :D Buuuut… the train was not moving. 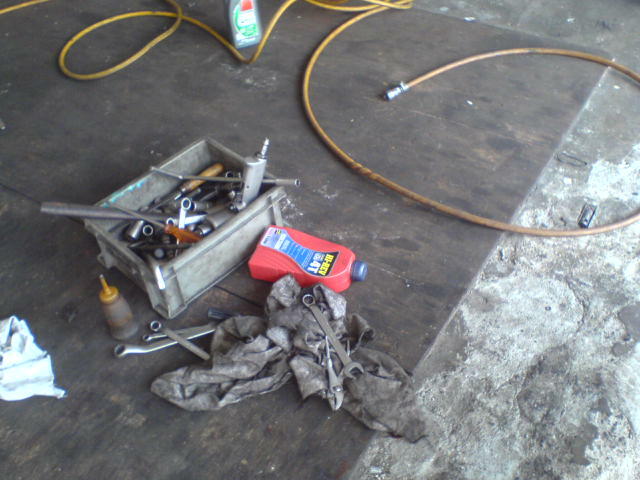 Dont know what was the problem… then light and aircon went off again! 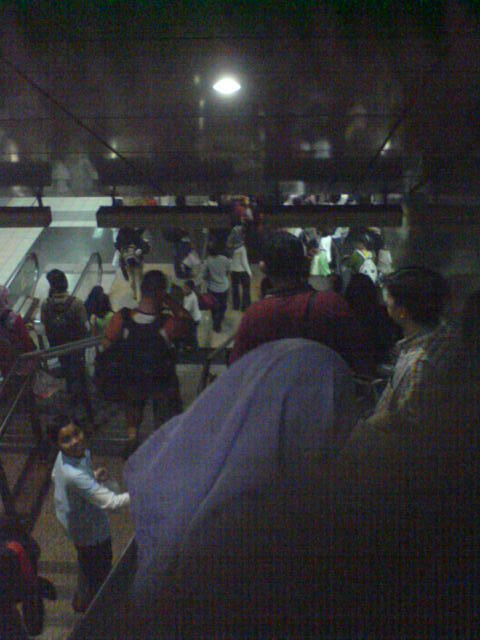 o_O Seriously, wtf is wrong with KTMB?!?! So, I went out again to get some ‘fresh’ air. Since I got nothing to do, I just walk around and took some random pic. The pic above is the locomotive. There is another one at the end of the train, and I think that is the one that causing the problem. After 2hours, I finally arrived at Kampar! It was faster than usual coz it got less stops. 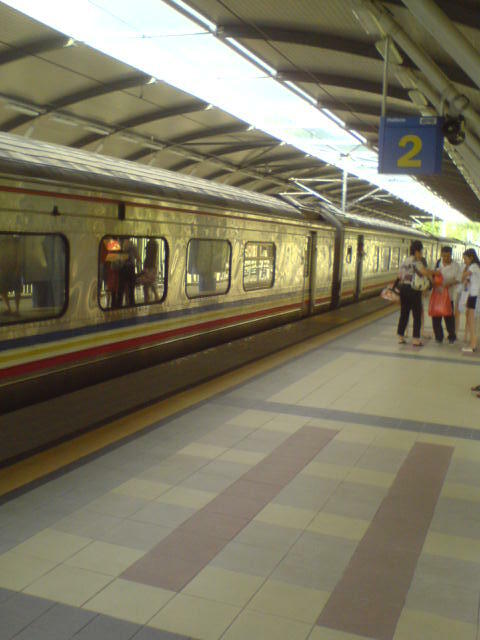 My advice for those who planning to take train in the future, avoid taking the Ekspress train! 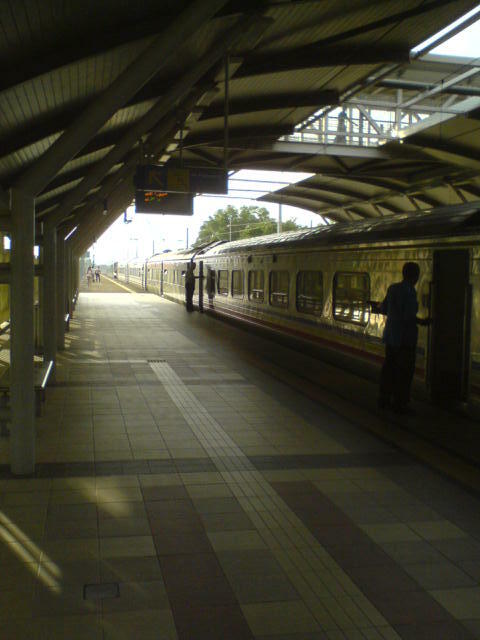 Take the KL-Ipoh shuttle train if you want coz that train got less problem and is cheaper too! 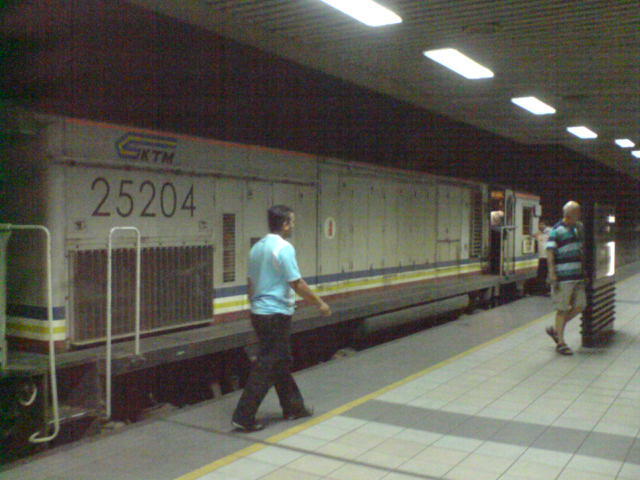 This entry was posted in My Life, Photos and tagged ktm, ktmb, train on May 11, 2009 by Khim Hoe. 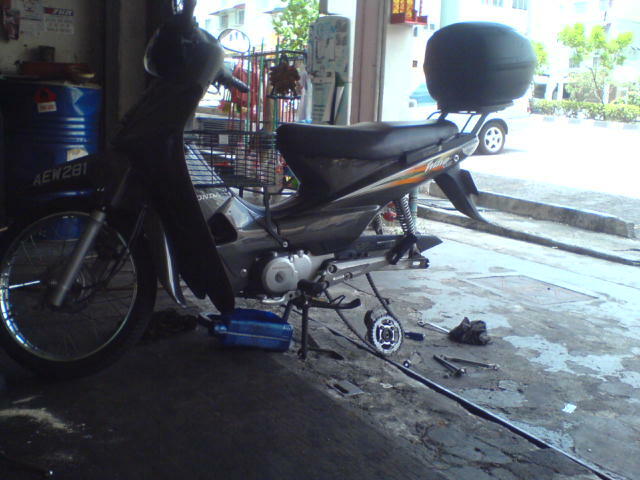 I went to the shop where I usually service my motor for service and also for changing the tyre. 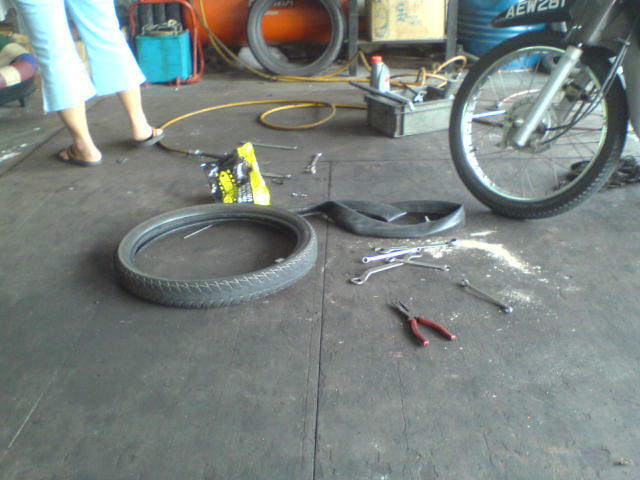 I chosed the ‘good’ and ‘bigger’ tyre since I don’t change tyre that often and ‘big’ tyre suppose to be ‘better’. 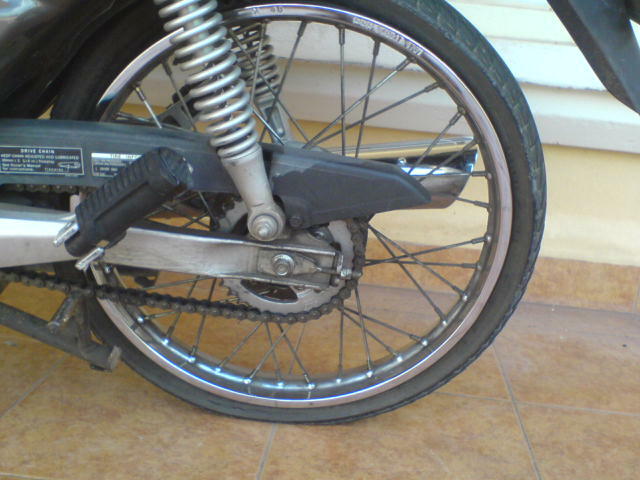 The tyre is a FKR Epsilon HT200… local brand la. 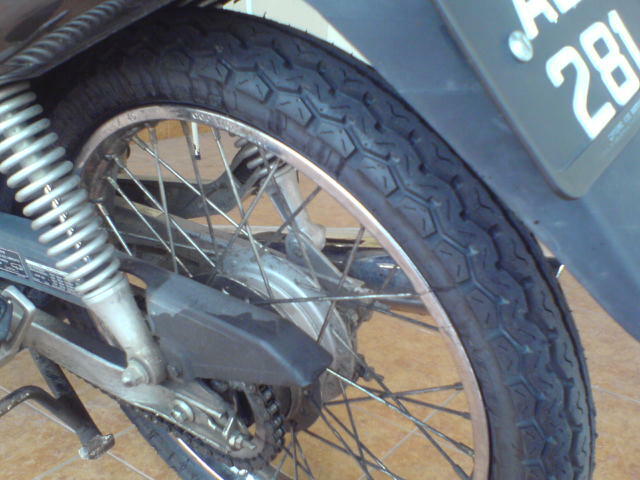 Fung Keong Rubber… hahaha… This is a universal tyre, so you can use for rear or front tyre. 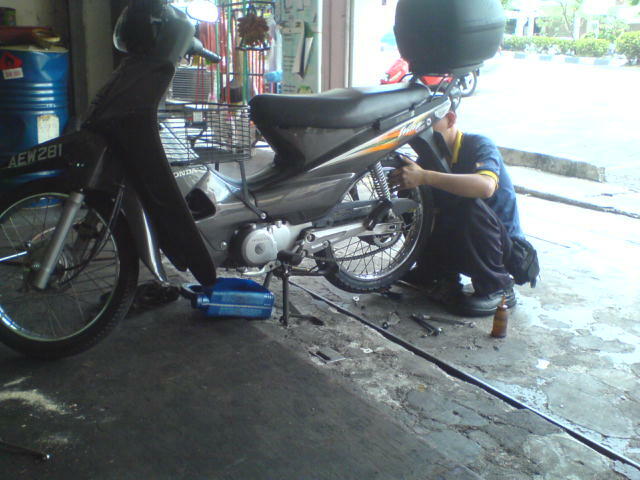 Since the tyre is bigger, I need to change the tube to a bigger tube too. 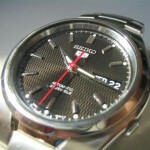 This entry was posted in My Life on April 26, 2009 by Khim Hoe. 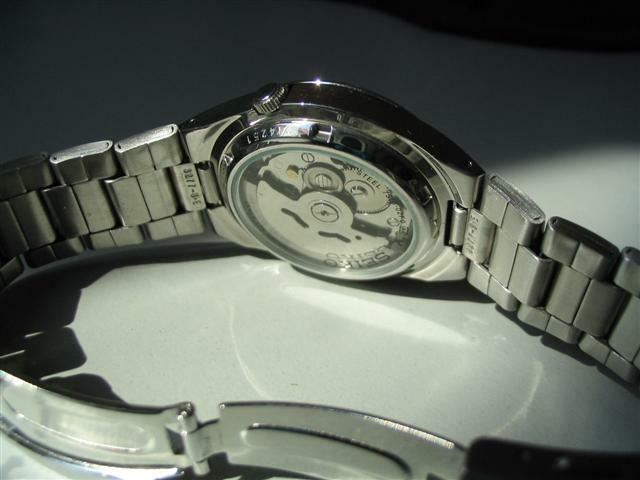 But automatic watch got few downside la… first, you need to wear it daily to keep the watch moving coz automatic watch is not operated by battery but by your hand movement. 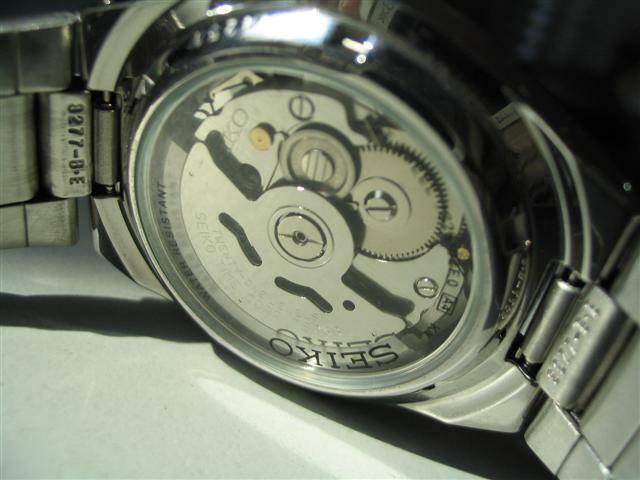 Second, automatic watch need extra care if compared to quartz watch coz it got more moving parts. 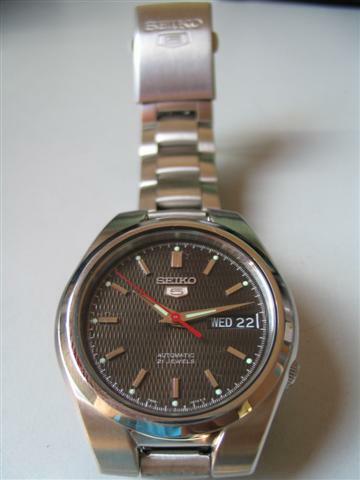 And it is less accurate than quartz watch too. 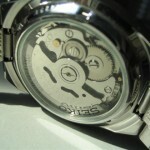 But ppl usually buy a mechanical is becoz of it craftsmanship and for collection purpose. 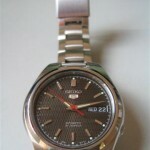 For now, I’ll be using this watch, but in the future I might get a quartz watch coz it is more suitable for daily use. 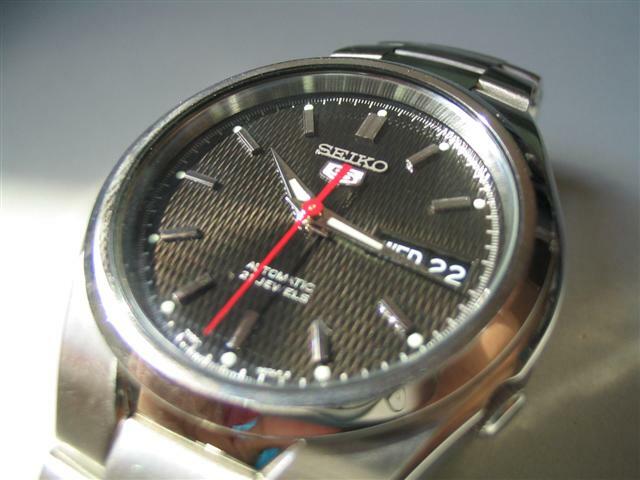 This entry was posted in My Life and tagged seiko, seiko 5, watch on April 22, 2009 by Khim Hoe. 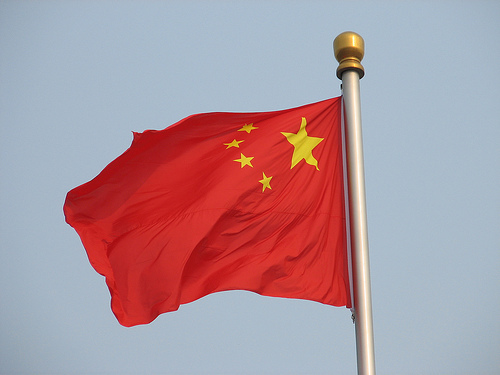 This entry was posted in My Life and tagged bank, chinese, weird on April 15, 2009 by Khim Hoe.